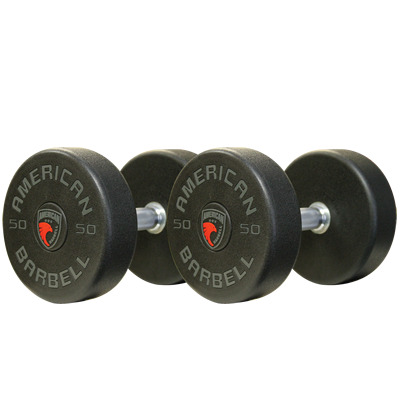 Dumbbells have long been a free weight favorite of athletes, bodybuilders, and exercise enthusiasts alike. They are simple to use, inexpensive and flexible. Since they are portable, they can be taken with you a walk or for a workout on the beach. 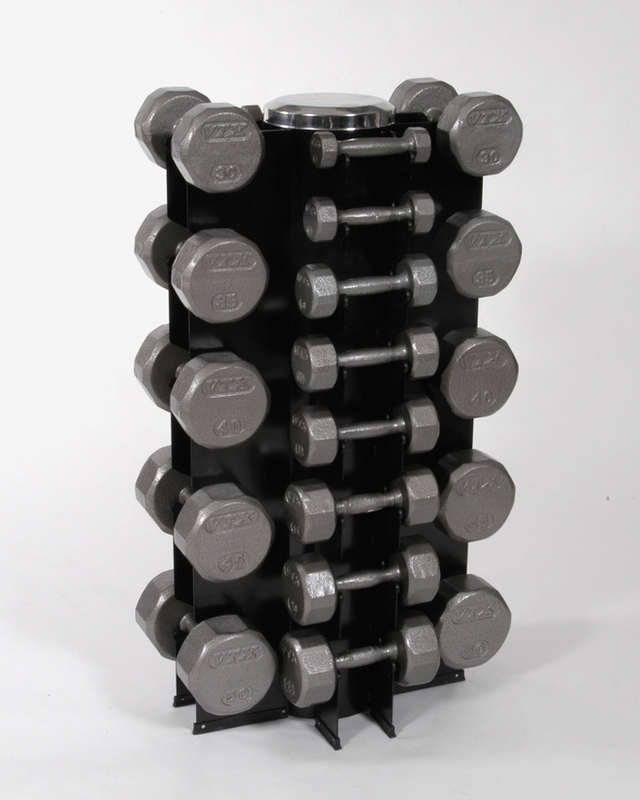 Dumbbells come in many types, from cast iron, vinyl, and rubber coated to urethane coated. 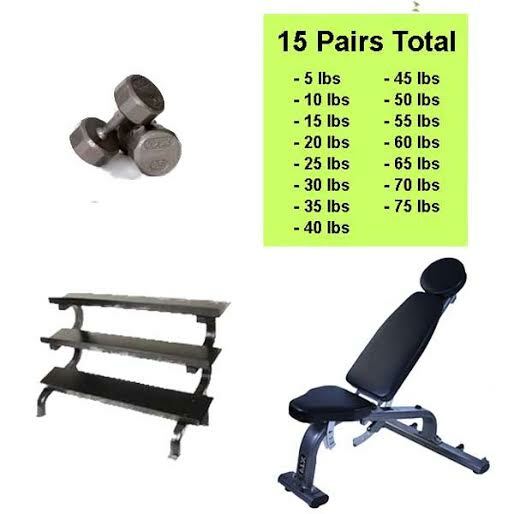 The come in weight ranges of 1lb up to 150lbs or even heavier. 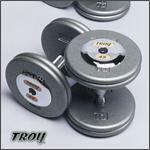 They can be used for strength training or rehabilitation. 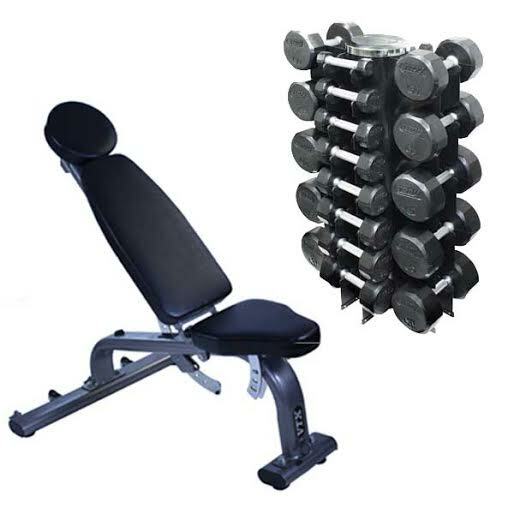 A dumbbell set can combined with an weight bench and a power rack to create a dynamic exercise station that can work out your entire body. 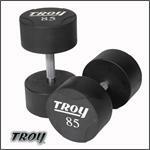 When combined with some cardio equipment, such as a treadmill or bike, a dumbbell set can round out a home gym. 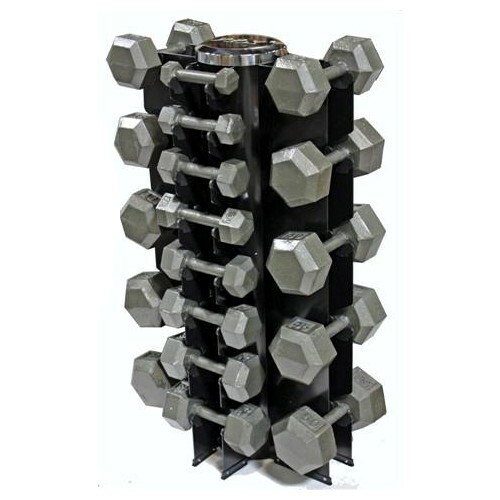 Browse our huge selection of dumbbells and storage racks.